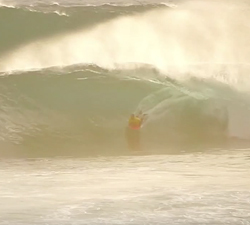 Ardiel Jimenez charging big, heavy cloud 9 over two epic session. CAMERAS: Michelle Wolf // Michelle Raymunod. Here we have Chase O’Leary going completely berko at one of the worlds finest waves ‘Cloud 9’. From Limited Edition. Pitz welcomes it’s newest rider – 21 year old Jake Metcalfe ripping at Cloud 9 in the Philippines.